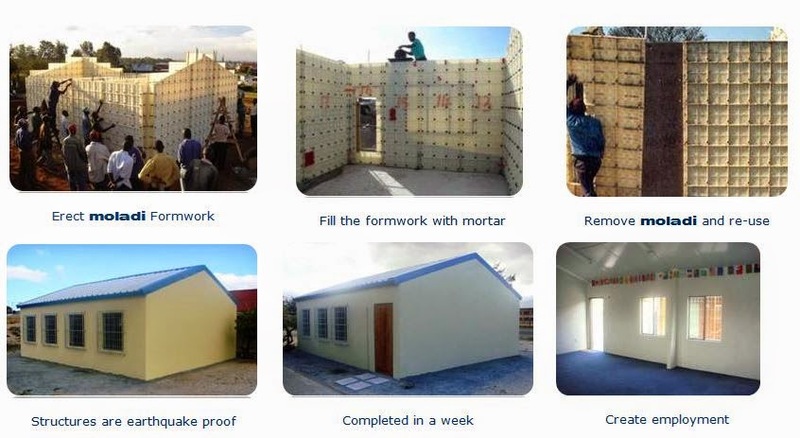 WHOLESALE vandalism has seen an entire abandoned Port Elizabeth school simply vanish into thin air – stripped of everything but its concrete floor and support beams in under two months. Using wheelbarrows, cars, vans and even their heads to transport items, Govan Mbeki township residents have reduced the school near Bethelsdorp to a shell to prevent people from other areas taking what they say belongs to them. 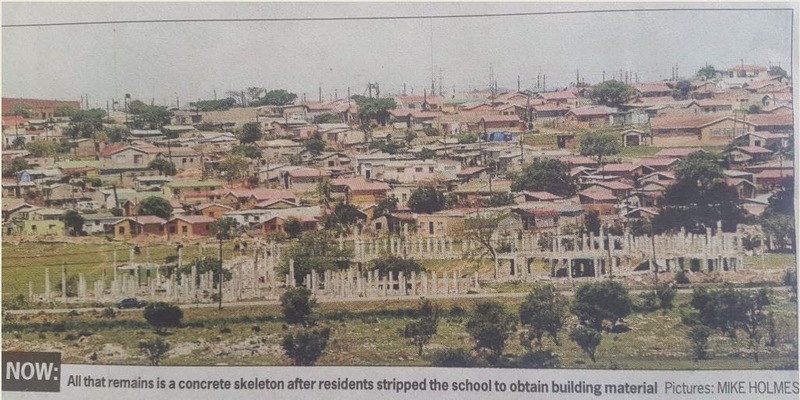 Gqebera High School, which cost R40-million to build, went from eight buildings to only support beams, with residents carrying off bricks and tiles bit by bit to add to their own homes or sell. And although it is one of six in the city which have been left abandoned, the provincial Education Department says it is only aware of three such vacant schools. The school was closed down earlier this year after pupils were relocated to the Tyilulwazi Secondary School. 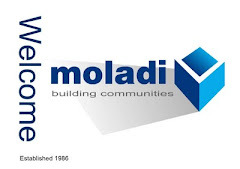 The other schools standing vacant are Khumbulani High in Sydenham, DDT Jabavu in Motherwell, Masangwana Primary in New Brighton, KwaNobuhle’s Mlungisi Perfector and VW Kwinana in Khayelitsha. The looting of Gqebera High has angered many residents, with some saying they had fought to keep the school open, only to see it reduced to nothing in a matter of weeks. A 22-year-old former pupil, who only identified himself as Sbonda, said they had marched a number of times to try to save the school before it was closed. “It’s painful seeing it reduced to this,” he said. “Over the years, some of the teachers even put their own money into the school to keep it running and we even had to sleep in the school computer labs while it was open to prevent break-ins. “We understood that there were only a few pupils but that was not the point. “I tried to prevent people from taking away the pieces of the school, but you can’t stand alone in front of a thousand people because you will be putting your life in danger,” he said. Kholisile Bobi, 49, said it was frustrating to see people looting the school, even though there was almost nothing left to steal anymore. “My child went to that school so it is heartbreaking to see this. “After the school closed down, we saw people from Veeplaas stripping it down. “We would hear sounds and see people busy in the middle of the night while we slept. So residents got frustrated and also started stripping the school.” Fezekile Grootboom, 42, said people started stealing computers before the school closed down. “The community contributed greatly to the vandalism. “People would just wake up on a random day and decide they needed bricks for projects and go get them. “Even my next door neighbours’ new paving is made from those materials.” While some of the residents have built or added on to their properties with the material, others are selling it to make a quick buck. Prense Hando, 20, and Thandolwethu Mangesi, 18, said they had made more than R5000 just selling cables and door frames in the past few weeks. 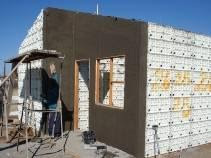 “We take the material and sell it to people from KwaDwesi extension, Zwide, Veeplaas and Uitenhage,” they said. Political party leaders have slammed the Education Department for “running the school into the ground”. 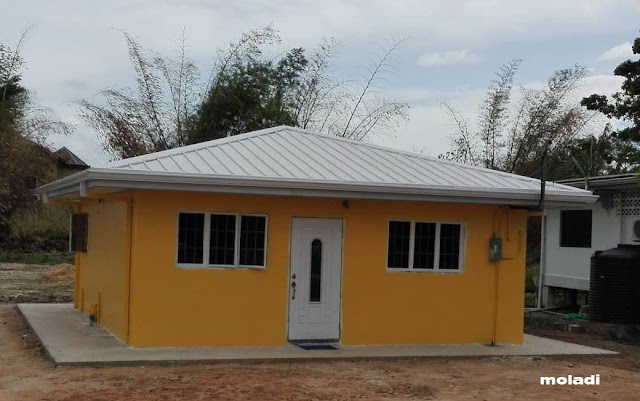 The department, however, said it had been in the process of deregistering the school from its assets and handing it over to the Public Works Department. DA shadow MEC for education Edmund van Vuuren said he was not surprised that the vacant schools were being stripped down. “The department ran the Gqebera School into the ground. But I am not surprised because it is notorious for bad planning. UDM provincial leader Mongameli Bobani said the fact that vacant schools were often reduced to ruins showed that the department was not serious about education. He said before a school was vacated, there was always consultation with the community. “There are two ways a building goes vacant,” Mtima said. “Firstly, rationalisation – where schools merge with other schools or when the structure is no longer safe to accommodate pupils. 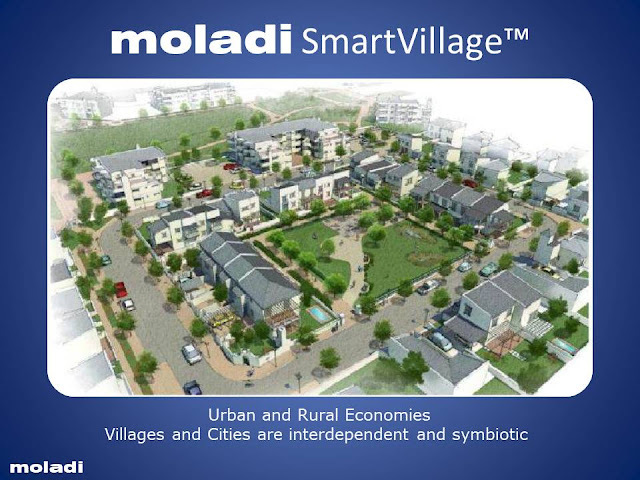 “Secondly, urbanisation or relocation of the community. Mtima said the department was in the process of deregistering Gqebera and handing it over to Public Works. “The process is … in the final stages,” he said. Public Works regional director Johan van Dyk said Gqebera High had not officially been handed over to the department. “Therefore there’s basically nothing we can do. “We recently reported an issue to the police where 30 people broke down and stole roof tiles from Gqebera High School. “In cases like these, police just shrug their shoulders, knowing that the culprits would get arrested today and do the same thing tomorrow,” he said. Police spokesman Dumile Gwavu said three people had been arrested and later released for possession of stolen property from Gqebera last month, when one truck and two bakkies filled with building materials were confiscated. While buildings such as Masangwana, Gqebera and Khumbulani are completely destroyed, others are either used for soup kitchens, Love Life gatherings or occupied by the homeless.